Don't miss Wendy's Buy1 Get1 Promo! Buy 1 BIGGIE Iced Tea and Get 1 FREE to share with someone today! 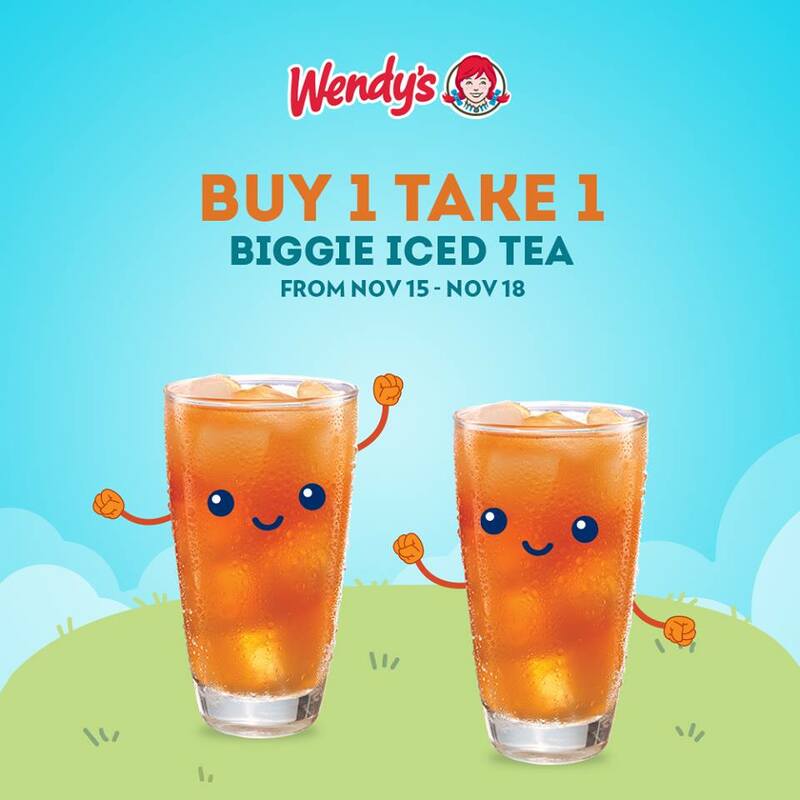 Promo is valid until November 18, 2018 for dine-in and take-out only in all Wendy’s stores nationwide.